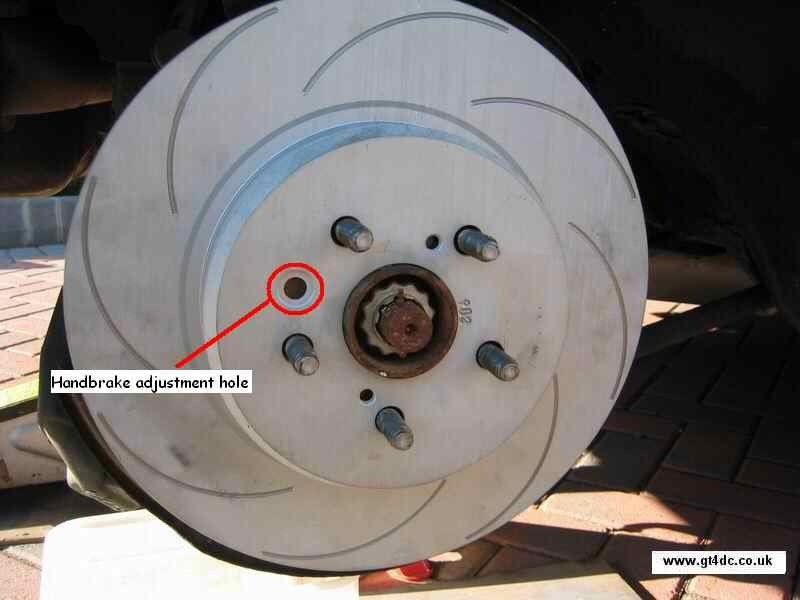 This article is intended as a helpful guide and shows how I replaced the rear discs. If you are in any doubt, or not qualified, do not undertake this maintenance, consult a qualified mechanic. 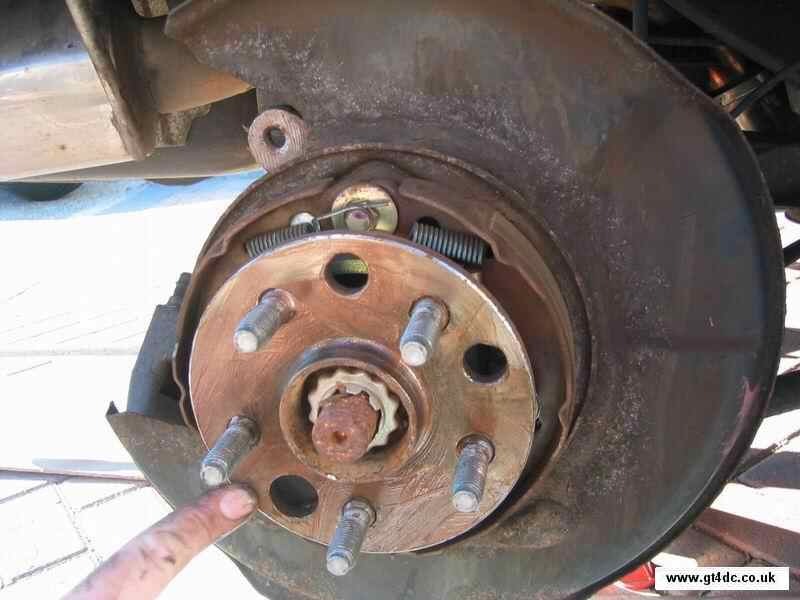 The brakes are a critical vehicle component, failure to change this in accordance with the relevant manufacturers and/or procedures and/or instructions can lead to severe damage or injury. The author or the GT4 Drivers Club can not be held responsible for any loss or damage resulting from use of this article. Why do I need to change my rear brake disks? To do this, undo the two bolts holding the calliper onto the rear of the hub (as shown) and slide the calliper off the brake disk. Move it to rear of hub and tie/support it out of the way whilst you remove the brake disk. 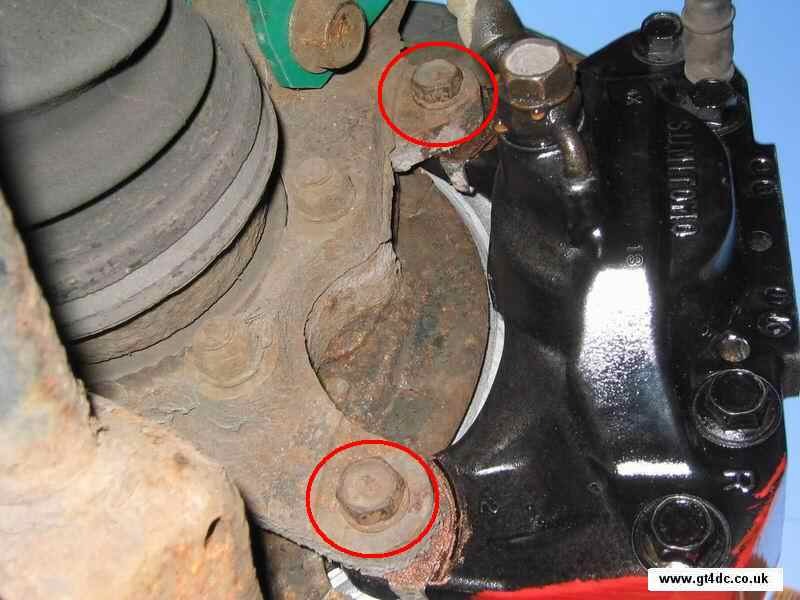 Do not leave the calliper dangling as it may damage the flexible brake line. Then in true "Haynes manual" fashion, simply place the new disk onto the hub! 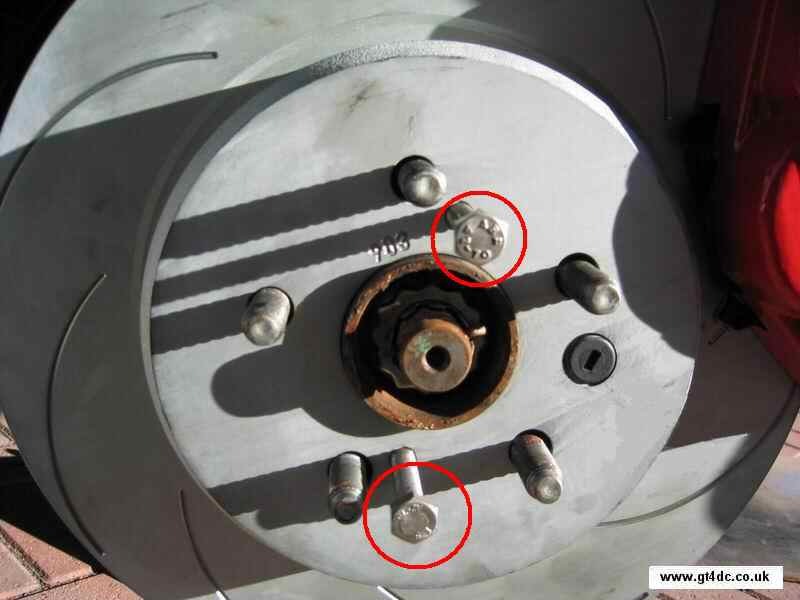 NB - make sure that the handbrake adjustment hole on the disk lines up with the handbrake adjustment hole on the hub as indicated. And that is it, job done! The process is almost exactly the same for the front brake disks, except that these are easier. Note that you will not need to adjust the handbrake.